Parboiled (Converted) Rice.. a nutritious, yet tasty option! I have been extensively studying researches about parboiled rice. And to my amazement, its nutrition profile matches 80% to that of brown rice. The only thing it scores lower than brown rice is its fibre content, and antioxidants which impart brown rice its respective colour. Rice produced by the process of parboiling or partially boiling. During this process, the harvested paddy (rice with husk) is hydrated and then steamed, before drying. Once dried completely, the husk is removed. The process of steaming or heating the hydrated paddy, forces the nutrients (especially, vitamin B1) in the husk to get absorbed into the grains, making the rice nutritious. While parboiling, the cracked kernels inside the husk may get glued together, thereby reducing the number of broken grains. Parboiling process also helps in the sterilization of harvested rice, which may contain impurities and insect eggs. When compared to white rice, parboiled version takes longer to cook and is not sticky. Once cooked, the rice will be firmer and retains its shape too. But, it takes lesser time for parboiled rice to get cooked, if you compare it with brown rice. Parboiled type is easily digestible and delicious. This rice is rich in B vitamins, folate, potassium, phosphorous, calcium and selenium. 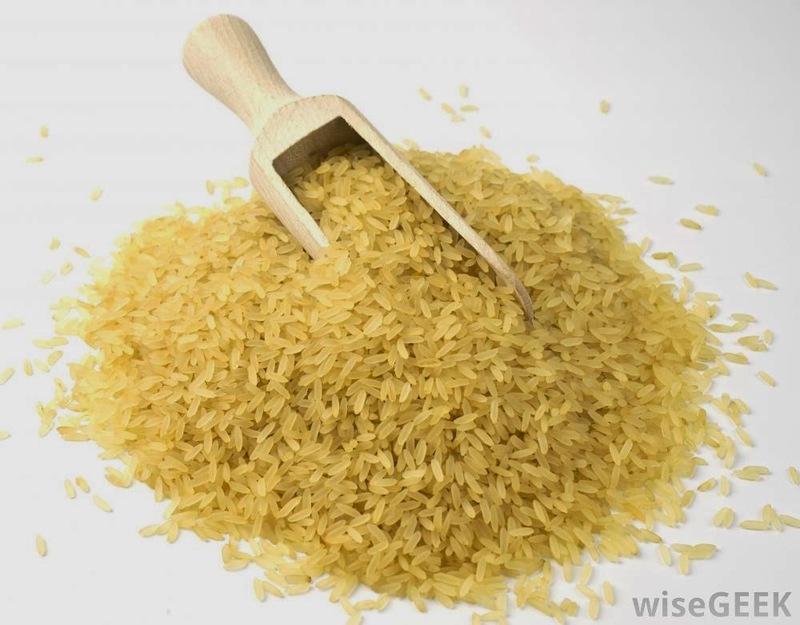 In fact, parboiled rice contains more folate and B vitamins, as compared to brown rice. It is also very low in fat, as 100 grams of this rice contain only 0.4 gram of fat. Compared to white rice, both parboiled and brown rice have low GI (glycemic index). So those who want to control their sugar levels, and find it difficult to change from white rice to brown, opting for parboiled rice can be a better option. For those, who do not want to compromise on the fibre content and want to reap the benefits of both types, can look for Parboiled Brown Rice or simply soak the brown rice in advance and then cook it alongwith parboiled white rice which does not take much time to cook. 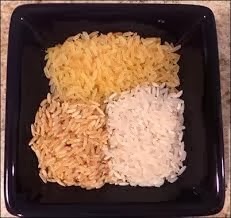 In the picture along, you see parboiled rice on the top, brown rice on the bottom left corner and white rice on the bottom right. Are you low on Iron, and blame it on your Vegetarianism? Think twice next time ! Probably the best known nutrition fact about iron is that meats—particularly red meats—are rich in iron. While this is true, it is also true that a number of plant foods are also rich in iron. It may come as a surprise that researchers have found that people eating plant-based diets eat as much or more iron as people who regularly rely on animal foods. 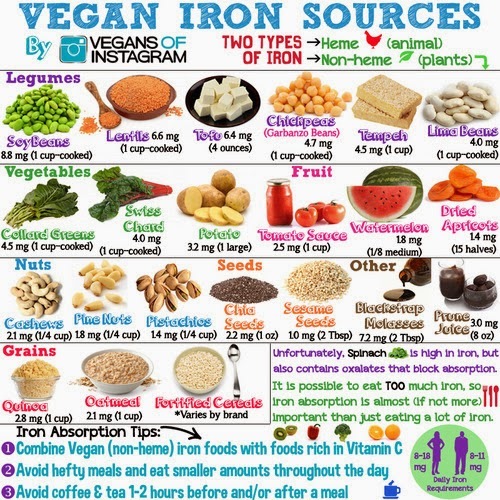 And, you'll see that our list of excellent iron sources is largely dominated by plant foods.